My iPhone Screen Is Too Dark! Here's The Brightness Fix. You are at:Home»iPhone»Display»My iPhone Screen Is Too Dark! Here’s The Brightness Fix. My iPhone Screen Is Too Dark! Here’s The Brightness Fix. You look down at your iPhone and it’s so dark that you can barely see the screen. Is the brightness too low? Maybe — but maybe not. 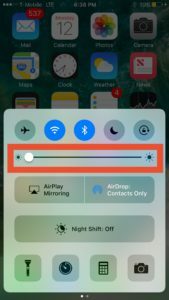 In iOS 10, there are two settings on your iPhone that can cause the screen to go almost completely dark, not just the brightness setting we’ve been using for years. 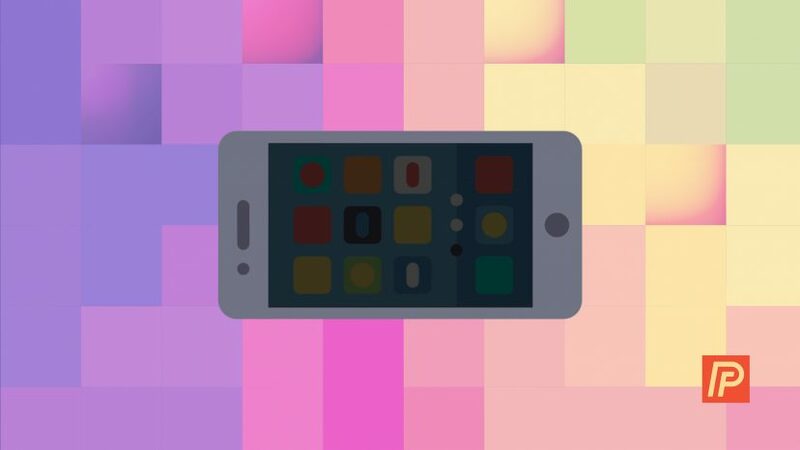 In this article, I’ll show you what to do if your iPhone screen is too dark to see and how to make your iPhone brighter, even if the brightness level is all the way up. Help! My iPhone Screen Is Too Dark! Up until the release of iOS 10, there was only one Brightness setting on your iPhone. Now there are two Settings that can cause your iPhone’s screen to be too dark: Brightness and White Point. I’ll walk you through both and show you how to change both settings below. Note: If you can’t see anything on your iPhone’s display, check out our article called My iPhone Screen Is Black! to learn how to fix it. If it’s really, really dim, read on. To quickly check your iPhone’s brightness level, use your finger to swipe up from the very bottom of your iPhone’s screen to reveal Control Center. You’ll see a slider towards the center of the menu. Drag the slider all the way to the right to raise the brightness level on your iPhone. 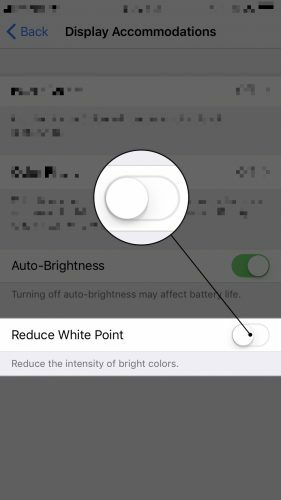 If your iPhone is still too dark, it’s time to look at a new setting that Apple introduced with iOS 10: Reduce White Point. White Point is an Accessibility setting on iPhone that reduces harsh colors and makes your phone’s screen noticeably dimmer. Accessibility settings are designed to make it easier for someone with a disability to use their iPhone. Problems occur when Accessibility settings get turned on accidentally or by a mischievous friend. Open the Settings app on iPhone. Tap the Display Accommodations button at the top of the screen. Look at the bottom of your screen and find the option labeled Reduce White Point. If the setting is turned on (the slider is green), turn it off by tapping the slider to the right of the option. The brightness level of your screen should then return to normal. If you recently used the Zoom feature in Settings -> General -> Accessibility -> Vision and left it on accidentally, it may be the reason why your iPhone screen is too dark! Using the Zoom setting, you can actually make the iPhone display darker than you’re able to with the brightness slider. If your iPhone’s screen is still too dim, go to Settings -> General -> Reset -> Reset All Settings to eliminate the possibility that something in the Settings app is causing your iPhone’s screen to be too dark. A DFU restore is the deepest kind of software restore you can do on an iPhone. If your iPhone’s screen is still too dark, a DFU restore is the last troubleshooting step before a hardware repair. This special type of restore wipes both software and hardware settings, so make sure to back up your iPhone, and then follow the PayetteForward DFU restore guide to give it a try. If after following all of these steps you find that your iPhone’s screen is still dark, it may be time to repair your iPhone. Check out my article about the best places to get your iPhone for repaired for a list of the most reliable repair sources. Now that your iPhone screen is bright enough to see again, feel free to leave a comment below about which solution worked for you. Thanks for checking out this edition of PayetteForward! Previous ArticleWhy Does My iPhone Say Security Recommendation In Wi-Fi? The Fix! Next Article How Do I Type In Multiple Languages On iPhone? Fix Autocorrect!